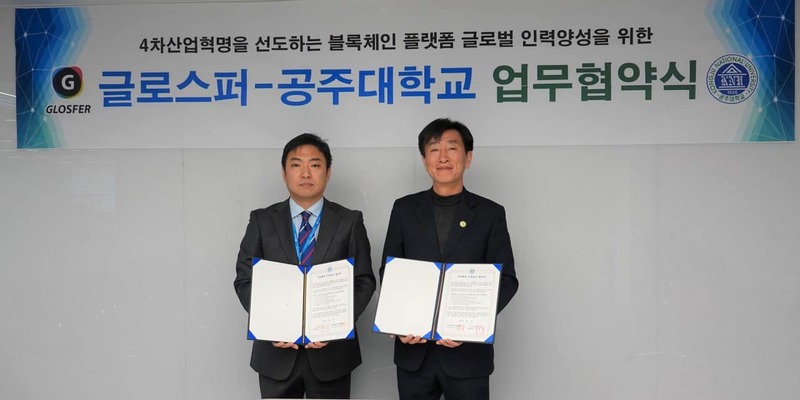 Blockchain-based solutions provider Glosfer and Kongju National University Friday signed a memorandum of understanding (MOU) for cooperation. Under the agreement, they will jointly research on blockchain projects, use research, analysis facilities, and research papers. Golsfer would help the university education next-generation blockchain specialists. They would work together to establish a K-Medicine blockchain platform. Glosfer is the first-generation Korean company that has been conducting research and development since 2012. It is the first Korean company that runs a global transfer service. It is the second Korean company that runs a cryptocurrency exchange.